Inventory — it's the highest number on your company's asset sheet. Yet, most companies rely on outdated systems and yesterday's inventory control policies to manage this valuable resource. And you, the person in charge of the inventory, are still responsible for an accurate count. You know how important your job is. If the count is overstated — your company pays taxes and insurance on something it doesn't really have. If the count is understated — you risk problems with the IRS for not paying enough taxes. Plus, you won't have product to ship to your customers, resulting in back orders and more headaches. And on top of it all, you're the person who ends up having to deal with everything from lost or incorrect paperwork to recounts, reconciliation, and more. 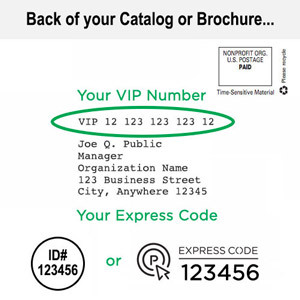 Attend this informative seminar and get solutions that you can put in place immediately to ensure more accurate inventory counts and a better-run, thorough, and less frustrating inventory process for everyone concerned. It's a lot of value for a small investment! 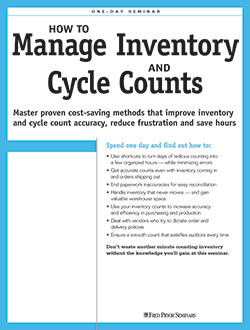 Don’t waste another minute counting inventory without the knowledge you’ll gain at this seminar. Should you count physical inventory or what’s on the paperwork?